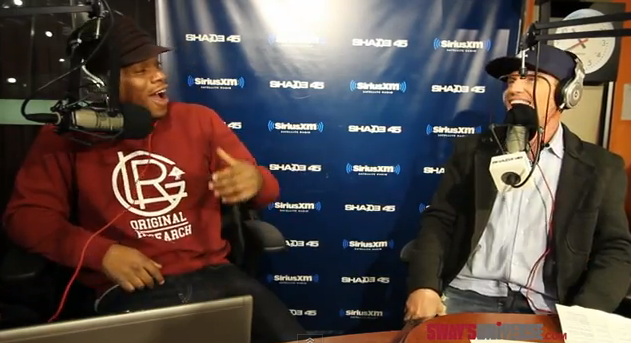 Vanilla Ice put one of Hip-Hop’s biggest urban legends to rest on Shade 45′s Sway In The Morning radio show. While this rumor was always assumed to be just that, Rob Van Winkle put the story to bed once and for all in this interview with Sway. ‘No, you know what it is? When these things become so [much a part] of pop culture, it takes on a life of its own. He never hung me over no balcony man,” Ice told the Shade 45 host. Ice also admits that even though Suge did get that money, the sound investments he made prevented him from becoming like MC Hammer, after adding a few “no shots” after the comments. This entry was posted in Entertainment News and tagged Am Caffeine morning show, Suge Knight, Sway, Vanilla Ice. Bookmark the permalink.